Jalen Lecque is one of the most exciting and high-flying players in the country no matter the class. 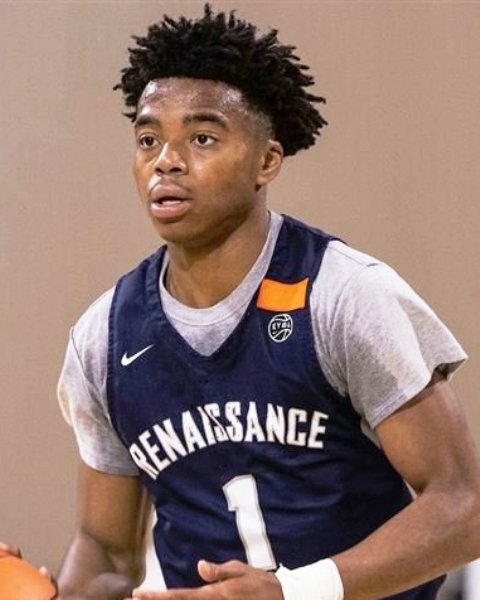 Lecque is ranked among the top 5 2019 guards in the country and a top 15 player by virtually every recruiting service (#11 in the latest NY2LASPORTS.COM rankings). After dominating last spring and summer the talented 6-3 guard carried that over to the high school season where he averaged 20 points, 10 assists, and 10 rebounds all while helping lead his Christ School (North Carolina) to an 8-1 conference record (23-12 overall record). Even though Lecque had a very impressive season to almost everyone he wasn’t happy with how it ended. He has a champions mentality and doesn’t like to lose. "I feel my season went okay but I could've played better. Me and my team should've won," Lecque said. Lecque is one of the most athletic players in the 2019 class and even draws comparisons to NBA all-star Russell Westbrook. A natural scoring guard that can create for himself using his quick crossovers. There's no doubt that when he is getting to and playing above the rim he is at his best. In transition Lecque is incredibly strong with the ball and you can just assume that he will be finishing with a highlight reel type dunk. Lecque knows the importance of taking care of the ball as he doesn’t turn it over often and will make the right passes. A streaky shooter who started to really find his jump shot towards the end of the season will only continue to improve with hard work. His recruitment has blown up over the past year as he has become one of the most highly touted players in the country. Lecque has over 30 offers from programs all across the country including Alabama, Auburn, Baylor, Connecticut, Florida, Georgetown, Georgia, Georgia Tech, Houston, Illinois, Iona, Kansas, Kansas State, Manhattan, Miami, Minnesota, NC State, New Mexico, Oklahoma State, Oregon, Providence, Rhode Island, Rider, Saint Louis, Seton Hall, ST Johns, Syracuse, TCU, Tennessee, Texas, Texas Tech, USC, Villanova, Wake Forest, and Xavier. Lecque has taken visits to Tennessee and Duke recently and has had coaches from Kentucky, Oregon, Xavier, and NC State visit him recently too. One of the premiere prospects in the country, Lecque will be one of the most coveted prospects in the country in the 2019 class. He played with the Southern Stampede during the grassroots travel season.